A muddler is an essential bar tool that is designed to smash and mix cocktail ingredients. It is used to make some of the most popular cocktails, including the caipirinha, mojito, and old-fashioned. The muddler really is nothing more than a bartender's pestle and it is very easy to use. It's one of the best ways to incorporate fresh fruits and herbs into your drinks. Once you learn just how useful a muddler is, you will wonder why you didn't have one before. Muddlers come in a variety of materials and most are about the same size and basic design. They are typically six to eight inches long and about one to two inches in diameter. It's the perfect size to reach the bottom of the average mixing glass or cocktail shaker. In general, you will find muddlers made out of three different materials: wood, plastic, or stainless steel. Wood Muddlers: Wood muddlers are the most popular and have been used in the bar since some of the first drinks were mixed. They come in two basic shapes. One looks like a miniature baseball bat with a flat bottom. The other is rather straight, similar in design to a windchime or handbell. These are favorites for bartenders because they are durable, get the job done quickly, and are useful for other things like cracking ice cubes into smaller pieces. The one drawback to wood is that you need to take care of it because it is an organic material. Never put a wood muddler in the dishwasher or leave it in standing water. Clean your muddler in water immediately after use, especially when working with berries and other fruits that can stain the wood. Over time, some staining will likely occur, but that's a just a sign that you get good use out of it. Wipe your muddler with a dry cloth to help it dry faster. Let it air dry for a bit before storing. Plastic and Steel Muddlers In recent years, there has been a revolution in muddler design and many are now made out of plastic, stainless steel, or a combination of synthetic materials. The majority of these muddlers follow the bat design of the wood muddlers because the thinner end is easy to grasp. It is also common to find a muddler with teeth on the bottom. These are used to mash ingredients more efficiently and are great for quickly extracting juice from berries, citrus fruits, and other produce. The main advantage to plastic and steel muddlers is sanitation. Compared to wooden muddlers, the potential for bacteria and molds to grow or for the muddler to become damaged is much lower. Depending on the material, many of these muddlers are dishwasher safe. There is also virtually no staining from the darker fruits and herbs. Essentially, they are very easy to care for. Which Muddler Should You Choose? The answer to this question is going to depend on your style of mixing drinks and your personal preference. Choosing a muddler is just like choosing a cocktail shaker: there are many options and there is one that will suit you best. Many bartenders and cocktail enthusiasts like to have both types of muddlers around. The wood muddlers are great for everyday tasks like the gentle muddling of delicate herbs and citrus fruit as well as cracking ice. Plastic muddlers are great for juicing fruits and crushing hard ingredients like nuts. They're also really nice for messier muddling jobs that may affect a wooden muddler over the long-term. 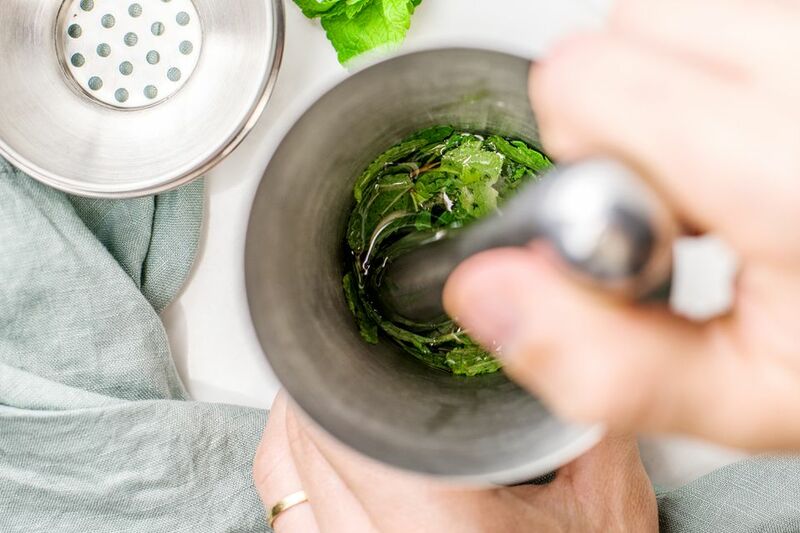 In most cases, the point of muddling is not to smash the ingredients into a messy pulp, but to gently caress the essence out of it. This is where many new bartenders go wrong. In the case of herbs, you are releasing the essential oils. For fruit, the goal is extracting the juice. Place your ingredients in the bottom of a cocktail shaker or mixing glass. Some cocktails are muddled directly in the serving glass. Gently press down and give a half turn of the muddler. Release and continue this motion until the product is sufficiently muddled. This will generally take about 4 to 6 turns. Muddling is a simple technique, though a couple more tips will help you out. 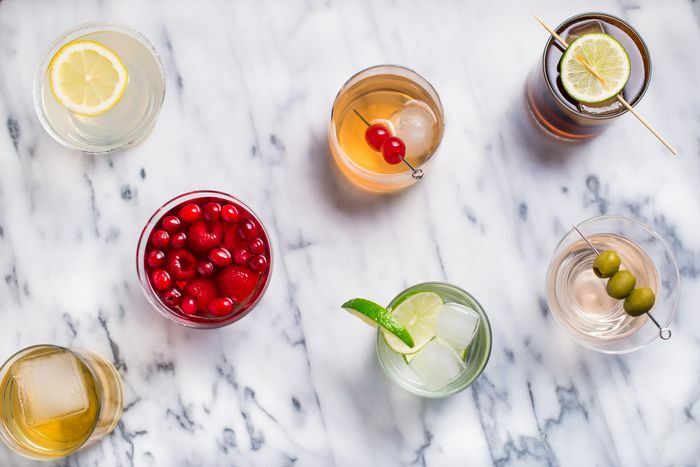 Keep these in mind and you will avoid a mess and create better cocktails. Don't muddle in a shaker that has a plastic bottom because they are prone to cracking, even under the lightest of pressure. If plastic is your only option, muddle in a glass then transfer the ingredients to the shaker to finish mixing. Muddle before adding ice or you are simply crushing ice and potentially over diluting the drink. Also, the ingredients you intend to muddle will not be properly muddled. This is sometimes called the "Portland muddle."